I honestly could not believe my eyes when I came across this article. Growing bigger, better diamonds???? Science is really fascinating! It truly amazes me at times how science can create wonders when I read interesting articles like these. If you thought that rock on the ring in the window of Tiffany’s was big and beautiful, the diamonds treated in labs with a newly-developed method will really blow you away. Diamonds grown in the laboratory using a chemical vapor deposition process can be treated by a new high temperature, low pressure method to improve their color and optical clarity. 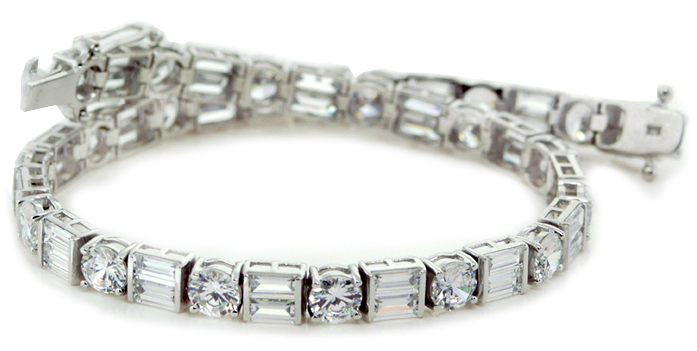 Diamond, a particular form of pure carbon, is of course used for more than adding sparkle to jewelry. It is also used for making scalpel blades, electronic components, and even quantum computers. But the very properties of diamond that make it perfect for these uses — its hardness (it’s the hardest known naturally-occurring mineral), optical clarity and resistance to chemicals, radiation and electrical fields — can also make it a difficult substance to work with. Defects can be purged from diamond by a heating process called annealing, but this process can turn diamond into graphite, another form, or allotrope, of carbon that is soft and gray and used in pencil leads. 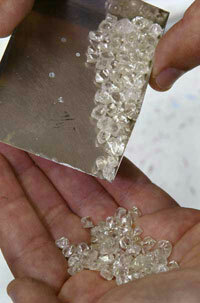 To prevent graphitization, diamond treatments have previously required using high pressures (up to 60,000 times atmospheric pressure, or the pressure we experience at sea level) during the annealing process, but such high pressure/high temperature processes are expensive and put limits on the size and amounts of diamonds that can be treated. A team of scientists at the Carnegie Institution in Washington, D.C., have found away to get around these issues — and make bigger, better diamonds. They use a method called chemical vapor deposition (CVD) to grow synthetic diamonds. Unlike other diamond-growing methods that use high pressures like those found deep in the Earth where natural diamonds are formed, CVD produces single-crystal diamonds at low pressure. These diamonds can be grown very rapidly and have relatively few defects. The Carnegie team could take these synthetic diamonds and anneal them at temperatures up to 3,632 degrees Fahrenheit (2,000 degrees Celsius) at pressures below atmospheric pressure. 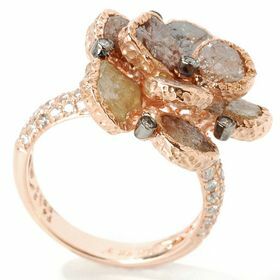 The annealing process turns the diamond crystals, which are originally yellow-brown, colorless or light pink. The process also has minimal graphitization. “It is striking to see brown CVD diamonds transformed by this cost-efficient method into clear, pink-tinted crystals,” said study team member Chih-shiue Yan. The researchers also figured out what causes the pink tint: A nitrogen atom takes the place of a carbon atom in certain place in the crystal structure. This finding “may also help the gem industry to distinguish natural from synthetic diamond,” Yan said. The new method, detailed in the Oct. 27 issue of the journal Proceedings of the National Academy of Sciences, also lets the researchers grow diamonds bigger. The Hope Diamond is a mere 45.52 carats. I like stories in which charity is the theme. It gives me a sense that there are people who still care. Granted that in some cases it might be for publicity, but if it benefits the receiver, I guess it’s a win-win situation. Here is a story I came across in Honor of National Breast Cancer Awareness Month when I was busy hunting for diamond themed news! Celebrated New York jewelry designer and breast cancer survivor Neda Behnam announced Diamonds for a Cure (DFAC) will join the growing number of companies and designers coming together this October to raise funds for cancer research. A 4ct. natural pink diamond flower ring set in rose gold, and an 18k white gold rough diamond pendant with a diamond center stone on either a black or pink silk cord are just two of the pieces in DFAC’s “Think Pink” collection. DFAC is donating $100 from each sale of the flower ring and $50 from each pendant sale. Picking up from where I left off, here’s part 2 of my little collection! I had to hunt down for decent pictures of stars in diamond themed jewelry. Most of these below were jewelries worn at the recent 2008 Oscar. Ali Landry looks absolutely stunning in this picture. Her earrings adds to her already glamorous look. Saved the best for last. Stunning dress. Stunning accessories! Granted it’s an advertisement, I find the three unique, collection Catherine has fits her perfectly. The usually gorgeous looking Angelina Jolie doesn’t seem to ‘shine’ in this piece. Love the earrings and the bracelet! Jen really shines in this picture. 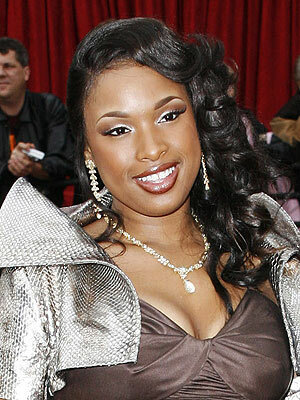 Her makeup, her hairdo, her jewelry, her outfit…goes well don’t you think? Lovely! Her smokey eyes, the hairdo and the peacock themed jewelry. Two thumbs up! It’s crazy to see how much companies or individuals are willing to pay for a ‘stone’ really…. Here’s the latest update from the diamond industry! New York—The Ponahalo Diamonds, the two stones cut from a 316.15-carat piece of rough mined in South Africa, sold for more than $6 million at a Christie’s auction held on Wednesday in New York City. The buyer, Amer Radwan of Radwan Diamond and Jewelry Trading in Dubai, United Arab Emirates, paid $4.11 million for the 102.11-carat Ponahalo diamond, while the smaller stone, weighing in at 70.87 carats, sold for $2.15 million. A portion of the proceeds from the sale of the Ponahalo Diamonds, which were cut by the Steinmetz Diamond Group, will go to the Diamond Empowerment Fund (DEF), the non-profit organization co-founded by music mogul Russell Simmons that uses diamond profits to educate and empower Africans. The Ponahalo diamonds are the world’s largest Forevermark stones. Forevermark is the diamond brand recently launched by De Beers. The stones were the highlight of Christie’s “Jewels: The New York Sale” and “Superb 20th Century Jewels from an American Collection” sales, held on Wednesday in New York City. The sales totaled $29.4 million. Other notable gems sold include a rectangular-cut 7.02-carat fancy-intense blue diamond for $3.61 million and a pear-shaped 5.6-carat fancy-intense purplish-pink diamond ring, which Alisa Moussaieff purchased for $2.71 million. As Christie’s winds down from the sale of the Ponahalo Diamonds, Sotheby’s is preparing for its “Magnificent Jewels” sale, scheduled for Nov. 19 at the Beau-Rivage Hotel in Geneva. Included in the sale will be the famous Lesotho I diamond, an emerald-cut 71.73-carat diamond cut from the 601-carat piece of rough mined in the 1960s in the African kingdom of Lesotho. This is the first time the stone—which was cut by famed jewelry house Harry Winston—has been offered at auction since the present owner purchased it from Harry Winston himself. 6 Million????? Yup, It still baffles me! India has the honor to polish biggest ever rough diamond. RAJKOT: Finally we can forget the Kohinoor. One of the costliest and biggest rough diamonds from South African mines has found its way into Gujarat. The 128.47-carat rough diamond worth $12.13 million (Rs 58-60 crore) is bigger than the 105-carat round-cut Kohinoor diamond, which is part of the famed British crown jewels. And after a little bit of cut and polish, the de-coloured and flawless rough diamond, mined from Orange River (South Africa), is expected to turn into 50 carat of pure glitter, chairman of Surat-based KARP Impex Kishore Virani told ET.KARP won the bid to buy the diamond from South Africa (SA) and claims that it is the costliest and the largest piece of rough diamond that has ever come an Indian company’s way. And it would take four months for the company to get it ready for the market. And KARP is also planning to get the diamond insured, Virani said. A DTC site holder, KARP gets steady supply of rough diamonds from South Africa, but in case of such rare pieces, bids are invited from all DTC site holders before auction. “We bagged the costliest rough diamond by quoting the best price against other contenders from Israel and Belgium,” said Keval Virani from KARP. 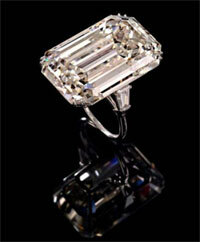 The auction was held in Tender House in South Africa, known for diamond auctions. But diamonds are not new to Gujarat. The Rs 60,000-crore Surat diamond industry is the hotbed of the global diamond industry, processing around 70% of world’s rough diamonds. But Chandrakant Sanghvi of Sanghi Exports said this is the first time that such a precious diamond has landed in the sub-continent. 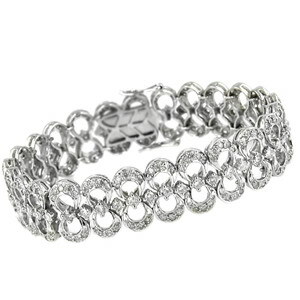 “Until now, polished diamonds ranging from 10-25 carat were heard of. But, a 50-carat polished diamond is probably the first of its kind,” he said. The Indian diamond cutting and polishing industry has enough technology and required skill to cut these large pieces given the industry can afford to purchase such higher cost rough diamonds. But Indians are mainly known for cutting and polishing smaller sized rough diamonds, he added. The costliest diamond that reached Surat 15-20 days back might see the development of new machine tools for cutting and polishing. Kishore Virani, with more than 30 years experience in diamond industry and a partner with the leading machine tool maker of the state expects to minimise the risk with the expertise and technical know-how of its own machine tools. “Although no particular marketing strategy has been decided, we are chalking out the strategies on naming the diamond,” said Mr Virani. The total exports of gems and jewellery items during April 2007 to March 2008 stood at Rs 84,058.19 crore against Rs 77,100.12 crore in April 2006-March 07, a growth of 9.02%. SWITZERLAND. Industry veteran Steven Goldstein, the co-founder of Goldkenn, one of the great confectionery successes in duty free, is returning to the sector with New York-based luxury accessories brand DEOS. 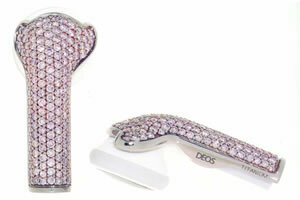 Founded by jewellery designer Allison Lee Zeiss, DEOS offers interchangeable diamond- and crystal-encrusted earphone covers for the Apple iPod and iPhone. Already seeing success in the Americas, where DEOS handles its own sales operation, it is now targeting travel retail with the help of Axions SA, Goldstein’s Geneva-based company. Axions is the brand’s international sales arm worldwide. Inspired by Apple’s iconic design aesthetic, Zeiss has married technology, luxury and design to offer Apple users another vehicle to showcase their individuality. DEOS earphone covers come in three collections – DEOS Diamond, CVRZ with Swarovski crystals, and the CVRZ aluminium range – each targeting a particular price segment. The DEOS Diamond collection, made of titanium and encrusted with coloured diamonds, is manufactured using the latest in casting technology. Each piece is handcrafted and hand-set – at a price. “DEOS Diamond retails from about US$60,000 for the ones fully covered with coloured diamonds (yellow, pink or black) to about US$4,500 in white and in black diamonds,” Goldstein told The Moodie Report. “With the titanium and diamond collection, the sky is the limit for people who are discerning and have the means to spend. The pieces are unique, the colours of the stones are perfect and wearing those earphones is definitely not for everyone. 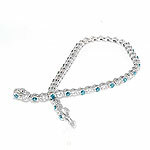 Yet they are not over flashy and show both the good taste and wealth of the wearer,” he added. 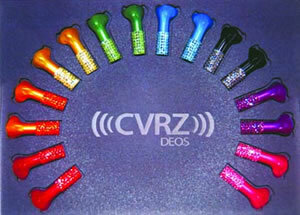 Next along the price line are the CVRZ crystal earphones, available fully or partially covered with hand-selected Swarovski crystals in a myriad of colours. This collection retails at about US$110 for the half-covered to US$200 for the fully-covered line. And finally, for “students and younger people who also want to make a fashion statement” but can’t afford the higher-end ranges, the CVRZ plain coloured aluminium earphones retail at about US$20. Colour choices include red, blue, green, yellow and orange. Goldstein saw the potential of DEOS for travel retail at the outset. “When my wife Dany and I met with Allison it was like love at first sight – with her personality, her talent and the enthusiasm she radiates. We were very impressed with the line of products she presented: they are not only nice-looking jewels but a concept for today’s world where technology meets beauty, allowing ladies to make a full fashion statement. My wife and I saw the birth of a new fashion trend,” he enthused. Goldstein sees the way DEOS straddles the categories of technology, fashion accessories and fine jewellery as a major strength of the brand. “Our line has a very interesting positioning: it can be considered as Joaillerie with the DEOS Diamond line which has a very high retail value, but at the same time it can be considered as fashion jewellery with the CVRZ lines. It can be sold in the electronics shop as an accessory also. It is going to be the challenge of the retailer to decide where the lines will make the most sense,” he said. “Inflight should be one of our major targets as [the DEOS product] is small and has a high retail value,” he added. Would I spend that amount of money for an earphone cover though??? I’d rather take that money and travel the world….. 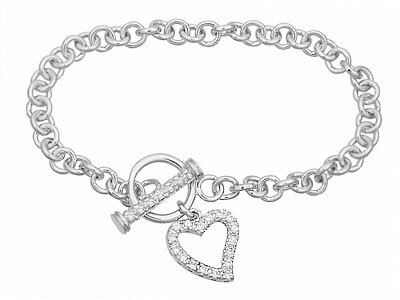 But then again, I wouldn’t mind if someone gave it to me as a present….hahaha! I guess I’m taking a roller coaster ride with regards to the issue. Depends on what I come across. Back to education for you folks! Found some cool stuff on the geology aspect of diamonds. It is the molecular structure of diamonds that makes them so hard. Diamonds are made of carbon atoms linked together in a lattice structure. Each carbon atom shares electrons with four other carbon atoms, forming a tetrahedral unit. This tetrahedral bonding of five carbon atoms forms an incredibly strong molecule. Graphite, another form of carbon, isn’t as strong as diamond because the carbon atoms in graphite link together in rings, where each atom is only linked to one other atom. came across some nice ones! My personal favorites are #3, 4 & 5.